Few days back we mention about how to compose new Gmail emails without opening your Gmail Inbox on your browser. Now today in this guide, we learn how to check Gmail Emails without opening the Gmail inbox on browser and get desktop and Voice notification of new incoming emails on your desktop. Yes, it is possible with the new Google Chrome Addon Checker Plus for Gmail, which allows you to check your Gmail emails without losing your present browser page or pages. In simple words no need to open the new tab or page to check your incoming Gmail emails, you can check all your emails from the Google Chrome toolbar, also you can reply the same emails from your toolbar without opening the Gmail page. 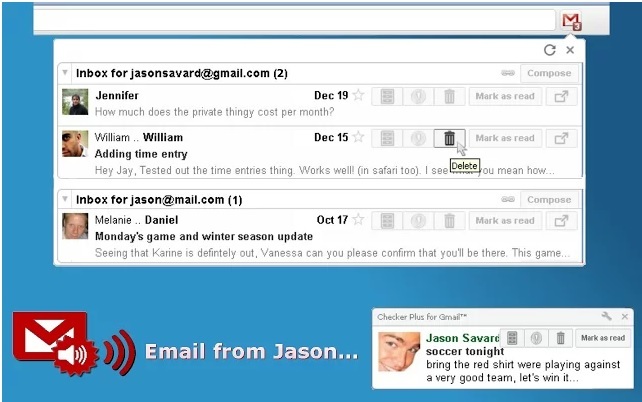 Some of the best features of the Checker Plus for Gmail chrome addons are it displays unread messages on your browser window, get desktop notification of new mails, add voice notification for new emails and you can listen to them, read, delete, archive or mark as spam without going to Gmail. The addon is free to install and you can download on your chrome browser from the Google chrome web store or you can find the direct download link at the end of this post. Once the Checker Plus for Gmail chrome addon is installed on your chrome browser, you are ready to read and reply all you new incoming gmail emails without opening them in a new tab page. 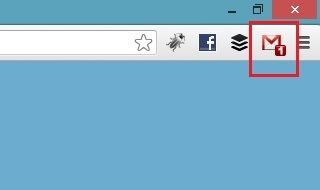 After the installation you will see the new Gmail icon on Google chrome toolbar. So next time whenever a new email arrives on your personal Gmail Inbox, you will see the notification icon on your Chrome toolbar area, from here you can check all your new email and reply them. The addon has some other useful features too, you can also set the voice alerts for the new emails. Whenever you receive a new email on your inbox, Checker Plus for Gmail alerts you with voice and desktop notifications at the same time. You can set the voice tone from the Addon settings page. 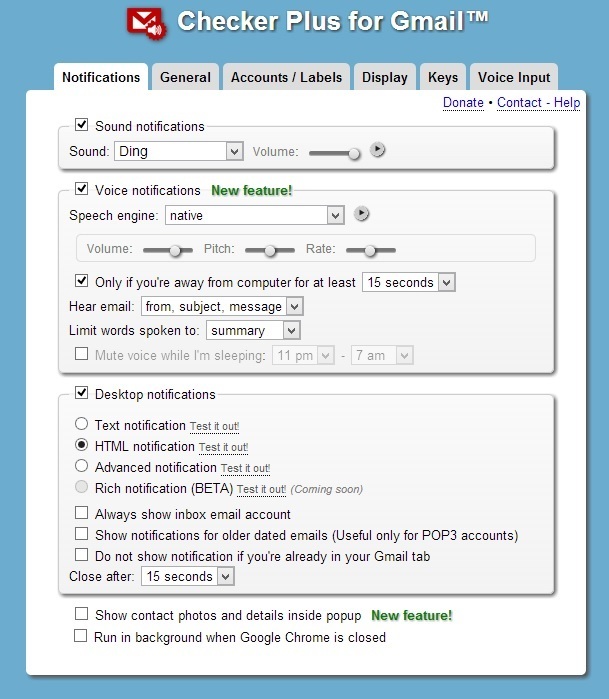 From here you can also change the Gmail Notification icons color and change sound notifications. From the Setting Notification page, you can change the notification of the new email and General setting page allows you to Open mailto links with Gmail, Archive messages as read and so on. And from the Display page you can tweak the appearance of the toolbar icons and change the look of alerts. The addon is one of the most configurable Chrome extensions I’ve seen yet, powered with lots of feature which are really useful to every Gmail user. One thing we like most about this addon is its Notification feature, it works like a charm. This is quite a handy extension that lets you keep track of all your emails. For more Gmail tips and Guides, click here!